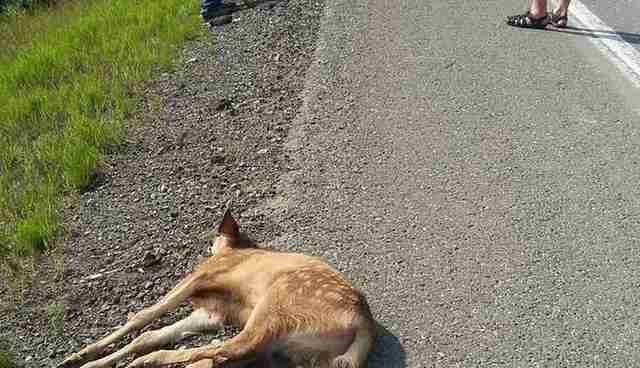 A couple was driving down a road in Canada when they saw the last thing anyone ever wants to see when zipping along: A baby deer bounding into the road, and another car barrelling toward her. Dana and Ryan Purnell pulled over just after the fawn was hit. "They stopped to see if the people were OK," Angelika Langen, of Northern Lights Wildlife Society (NLWS), in British Columbia, told The Dodo. "Then they realized the fawn was not dead." 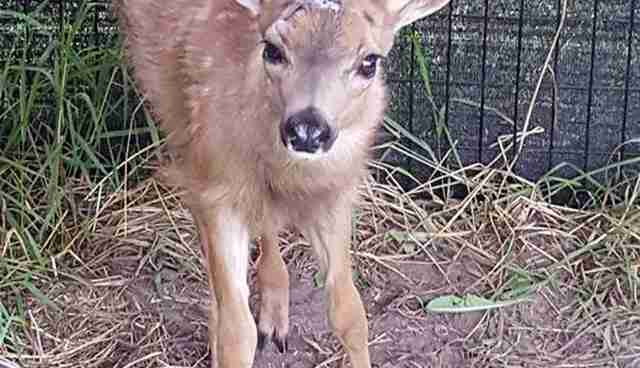 It's estimated that millions of animals are struck each week on U.S. roads alone, and every year there are about 1 million auto collisions specifically with deer. It was amazing to find the fawn still alive. When they realized they had a chance to save a life, the Purnells called NLWS. And that's the exact right thing to do when a deer and a car collide. Calling the police or a wildlife rehabilitator for help can mean the difference between life and death for animals. Also, using your high beams and staying alert can help prevent collisions with deer from happening in the first place. 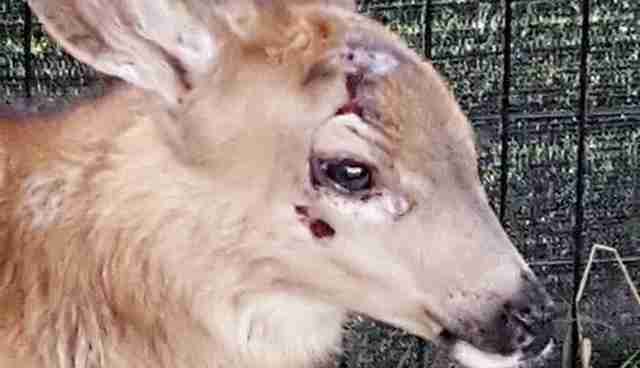 As for the lucky little fawn who was hit the other day? She's slightly banged up but doing "surprisingly well," according to Langen. "We hope she will make a full recovery," Langen said. Click here to read about a fantastic idea for a bridge that helps spare wildlife from becoming roadkill. Click here to learn how you can help NLWS rescue animals.